It’s good to stretch our minds, thinking about those impossible distances, and looking at Venus – so companionable, so gracefully warm and real – brings it home somehow. It’s interesting to me that you studied geology and now look to the heavens,but you never forget the earth, with it’s birds, and people going to work, and trees on the moors. Oh, the heavens and the Earth, its all the natural world, and I love it! As far as I know, the natural world gets by just fine without all the imagined realities that are so essential to us humans, and that’s a very powerful point for me. It’s impossible to conceive of those distances…and I’m right there with you in thinking that the natural world does fine without our imagined realities, unless you count among them the realities that destroy that world. I guess it depends on how you look at it. such an interesting post Adrian. Happy New Year to you too Adrian. I am aiming to post much more this year.. and visit more blogs too! Happy New Year! And thanks for your card! ATP xxxXXX!!! I like the idea of it being the drone of all drones with her nebulous side. 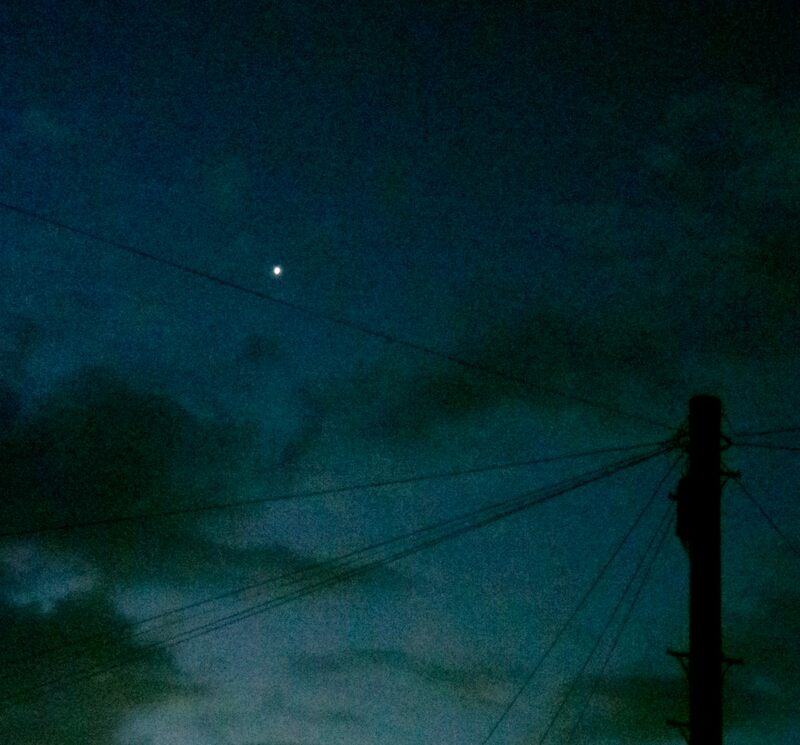 If it’s not Venus it could be evidence of the Gatwick drone heading west!! !